Dr. Jeffrey B. Auth, D.C. founded Auth Chiropractic & Vitality Center in October 2000. Auth is dedicated to bringing natural solutions for optimal wellness and vitality. He has assembled a team of some of the best healthcare professionals in Summit County, CO. Auth also takes pride in hiring the most highly-skilled and experienced massage therapists in the area. The Vitality Center at Auth Chiropractic offers a wide variety of massage styles from Swedish to Sports Therapy. Auth Chiropractic & Vitality Center offers additional treatments to complement the massage experience such as: Aromatherapy, and Hot Stones. After Dr. Auth suffered from three herniated discs himself, he decided to bring in a highly advanced therapy called The DRS Protocol™. The DRS (Decompression, Reduction and Stabilization) Protocol uses IDD Therapy® – Intervertebral Differential Dynamics Therapy® as a proven treatment for the relief of neck pain and lower back pain. With an up to 94% success rate, thousands of patients have experienced dramatic pain relief and healing. Auth Chiropractic & Vitality Center is the sole provider in the region utilizing The DRS Protocol™. Those living in the mountains and suffering from neck or back pain, now have a non-invasive alternative to surgery. Auth Chiropractic & Vitality Center has a caring professional staff to support each patient’s journey for optimal health. The office has been voted “Best of Summit County” seven years running by the readers of the Summit Daily News. After more than 15 years in practice and hundreds of positive reviews, Auth Chiropractic continues to help thousands of patients in the region, and accepts new patients every day. 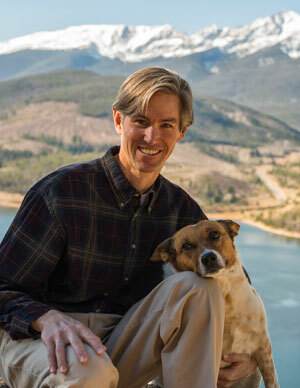 About Dr. Jeffrey Auth, D.C.
Dr. Auth came to Colorado in 1987 seeking adventure. He performed as a professional high diver and entertainer. He was fortunate to perform at theme parks in Spain, Canada, UAE and all over the United States. Initially winters were spent in the Colorado mountains. Here, he wanted to pursue a professional skiing career and position himself around adventurous, active, and health conscious people. He enjoyed competing in amateur and professional mogul competitions in Colorado and Utah until 1992. After a series of injuries, Auth eventually returned to becoming a professional student. He wanted to pursue a career in Chiropractic because it was the most effective form of treatment allowing for his activity level. Auth attended the University of Central Oklahoma where he received his Bachelor of Science degree. In 1996, he received his Doctor of Chiropractic (D.C.) from Parker College of Chiropractic, in Dallas, Texas. After graduating from the prestigious Parker Chiropractic College and passing rigorous state and national board exams, Auth moved back to Summit County, Colorado to start his Chiropractic career. The focus on his practice is in promoting health naturally and avoiding surgery for even serious and chronic spinal conditions. His practice is open to new patients and those wishing to be at their best…and those who want to make their pain a distant memory.